Leaving Paris -- never easy, especially on a beautiful day after a too-brief stay. The highlight of this visit was definitely the site launch. 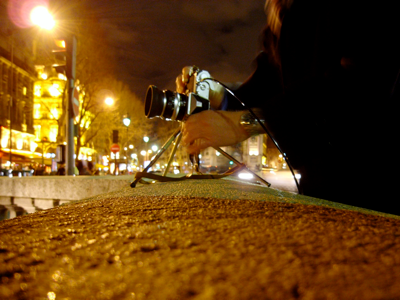 Also did some day and night shooting (as always we’ll see how they come out -- one of the things I’m trying to get is a good shot of the Pont de Bir-Hakeim). Restaurant tip: Cinq Mars at 51 rue de Verneuil. A bientôt, Paris!